The Club invites students, staff and alumni runners of all abilities and levels to participate. "We welcome anyone affiliated with MLS to run/walk with us, whether you're looking to stretch your legs during your lunch hour or after a long day of class and studying," MLSRC coordinator, Tom Jenkins said. This is an initiative of the Law School that aims to increase the wellbeing of staff and students as well as to foster a sense of connectedness between the different facets of the MLS community. "Running is great for both physical and mental health. Even a light jog between lectures can do wonders," Tom said. Starting this Thursday, the team will have regular lunch time runs around the picturesque Princes Park on Thursdays at 1pm. Anyone interested is encouraged to meet outside the west entrance of the Law Building at 12.55pm. 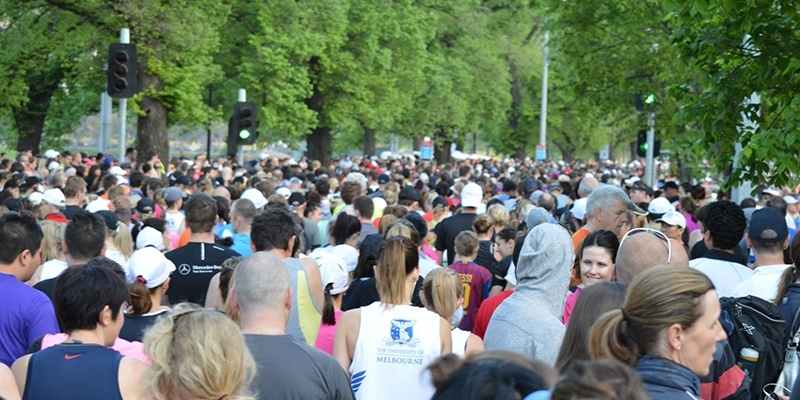 The MLS Running club will field a team for the Melbourne Marathon event in October. Those keen to represent MLS are encouraged to watch out for the launch event next semester. For more information contact MLSRC coordinator Tom Jenkins at thomas.jenkins@unimelb.edu.au.